Recorded as 'Midnicht's town' in the late-13th century, in the possession of John Midnicht. 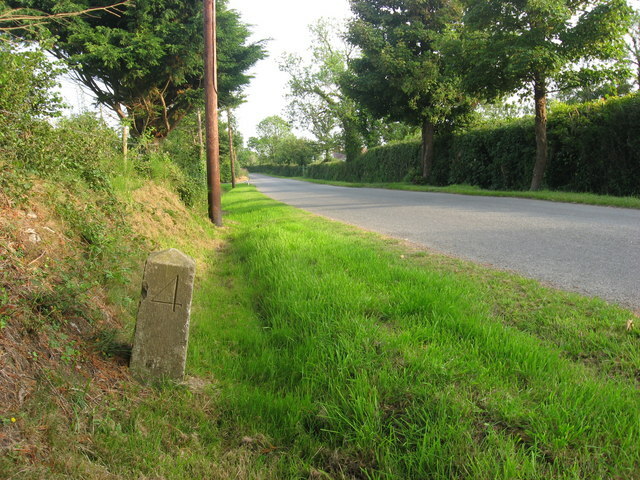 The milestone reads simply '4' on three sides, presumably four miles to Drogheda. Not shown on 1836 O.S. survey, but appears on 1909 edition.